One of the two core attractions of this island is its paintings in the Grotta del Genovese which date back to prehistory. These prehistoric works have been there for 6,000 or 10,000 years but only by chance they came to light in 1949. The paintings belong to the Upper Palaeolithic Period. And the incised drawings date back to the Neolithic. Most images depict animals. Only the most recent works also represent men and tuna, men and its natural world, tuna in the case of Levanzo. There is a path crossing the island which leads to the caves. However as it may be difficult, it is recommendable to ask the custodian and follow his advice. There is a guided tour, which is a good choice to make the most of the caves. 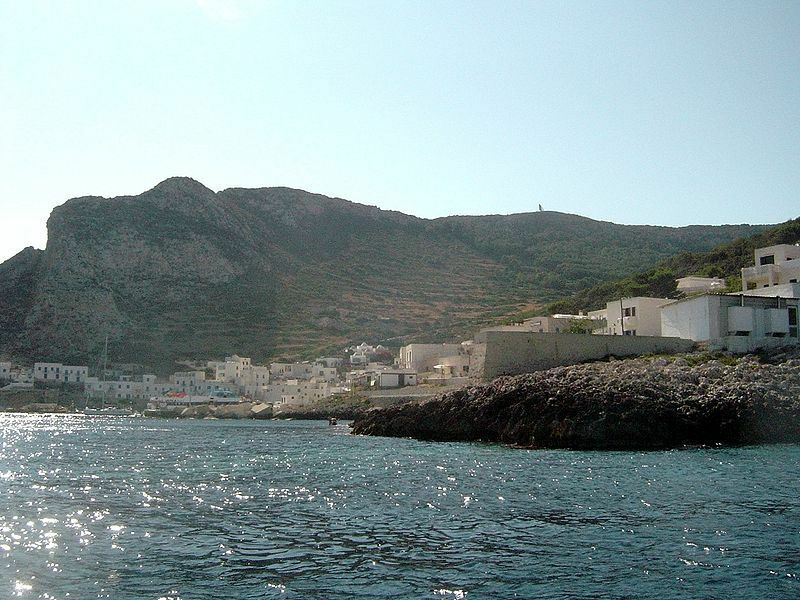 Another way to get to the Grotta del Genovese is by taxi, hired to take passengers along the sea road to the cave. 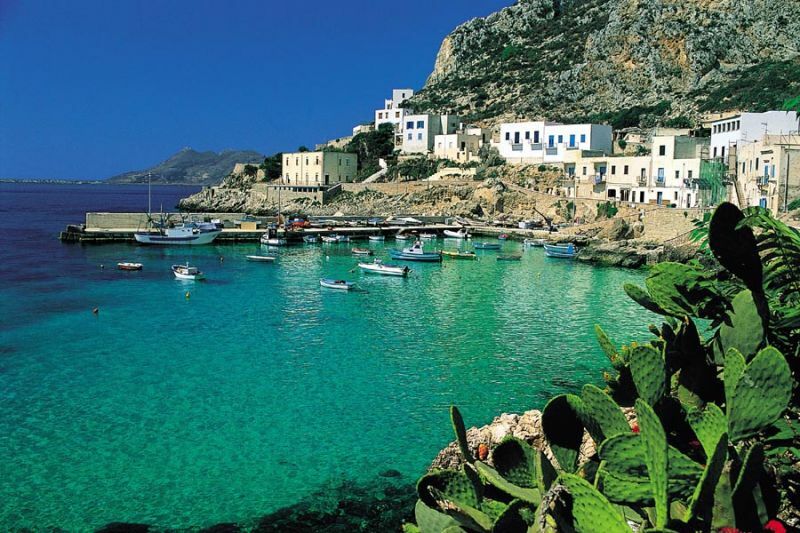 The second draw is its pebble beaches whose waters are perfect for swimming.The best places to swim and walk are Faraglione, Capo Grosso, a more tranquil beach than Faraglione on the north coast towered by a lighthouse. The third good option is Cala Minnnola, unless it is August. This little bay is a quiet idyllic spot to swim in and soak up the sun. 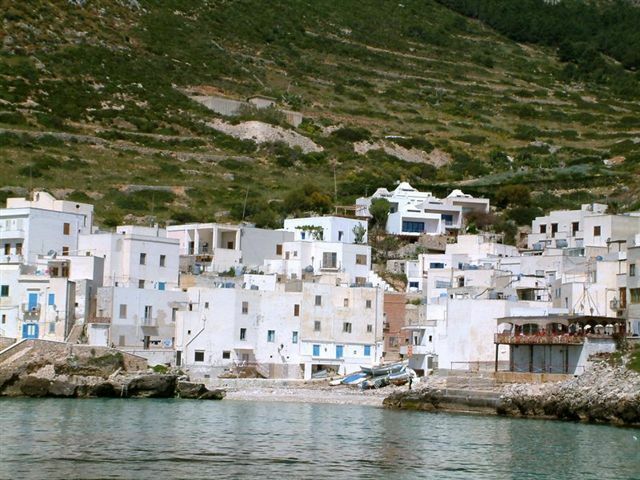 BY HYDROFOIL: from Marsala (services: 1 a day in the summertime), from Favignana to Levanzo and Marettimo (length: 10 and 30 minutes each).